The 6 o’clock alarm wakes us, and I almost turn it straight off and roll over back to sleep until I remember – today’s Safari Day! 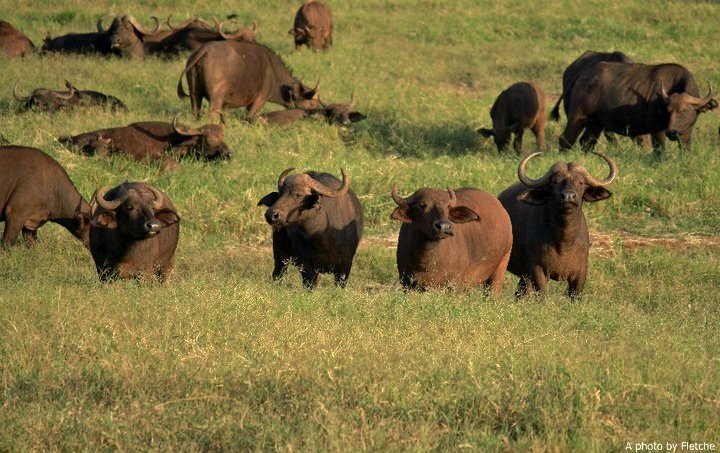 It would have been impossible to come on holiday to Kenya and not go on safari, so after a bit more Trip Advisor surfing and bombarding various recommended safari companies with e-mails, we opted for F King Safaris. Despite vowing to pack light (never a strong point of the Fletches I note…), Mr Fletche & I, two holdalls and a large camera bag are soon bundled into our Nissan safari bus. We are introduced to Abu – for the next three days he will be our driver, guide, animal-spotter, wildlife expert, protector and best friend. 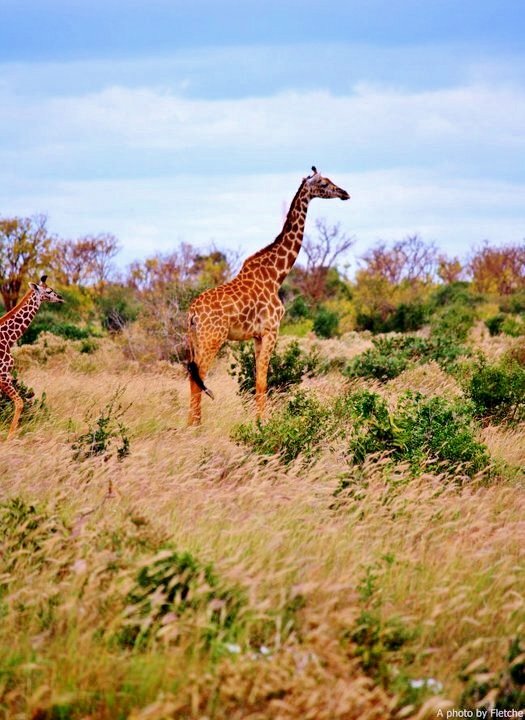 Into East Tsavo… it’s not long before we spot our first giraffe! This was soon followed by elephants, zebras, elephants, antelopes, elephants, gazelles, elephants, elephants, elephants…. 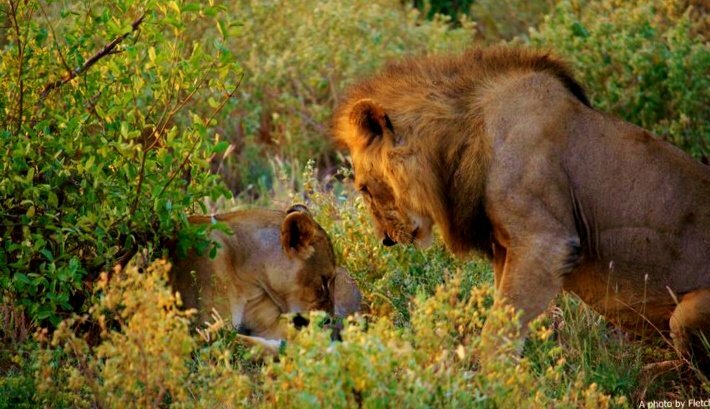 There was also a brief sighting of a lioness snoozing under a bush. Oh, and more elephants… It’s all very exciting, but out tummies are rumbling and we’re in need of a nice cool drink… Put those elephants on hold for a while, it’s time to check in at our first lodge. 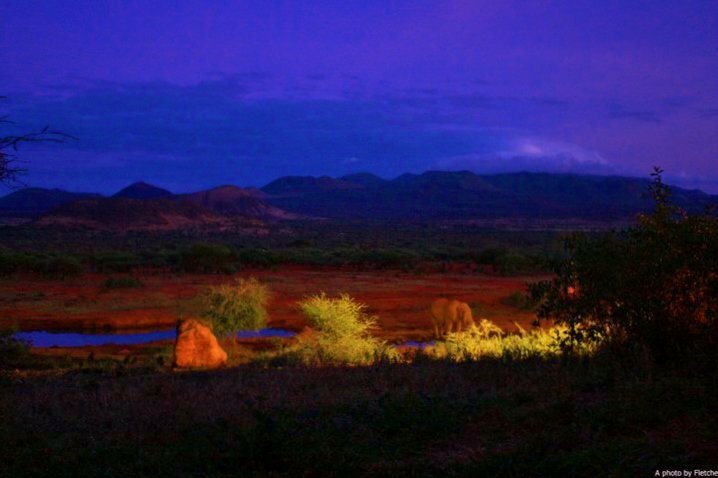 Ashnil Aruba is located on the edge of the Aruba Dam, which is a popular watering hole for waterbuck, giraffes, zebra and of course the ever-present elephants. Lunch – and beer – is a welcome event and we chill in our room before the afternoon game drive. There’s a lot of excited chatter on the radio and suddenly Abu is putting his foot down and driving at speeds that would put Lewis Hamilton to shame. On a very bumpy road. All that advice about wearing a good supportive bra was very sensible. The reason for all the excitement? There are more lions! A brother and sister to be precise; Abu makes sure we are in prime position for the best photo opportunity. The excitement isn’t over… more chatter, more pedal to the metal driving, to…. Our Lodge? No, just past the entrance are our friendly neighbourhood cheetahs. Except this time they don’t look quite so friendly… they’re on the hunt. In the distance, a group of gazelles are grazing happily, like they don’t have a care in the world… And then the cheetahs spring off on a run that I can barely catch with my binoculars. I manage to track the last gazelle in a fast receding pack… the cheetah’s gaining ground. It leaps, all stretched-out elegance and beauty. The dust kicks up, obscuring my view for a second. Who won? Does the cheetah have a good tasty gazelle meal tonight, or does the gazelle live to tell the tale? 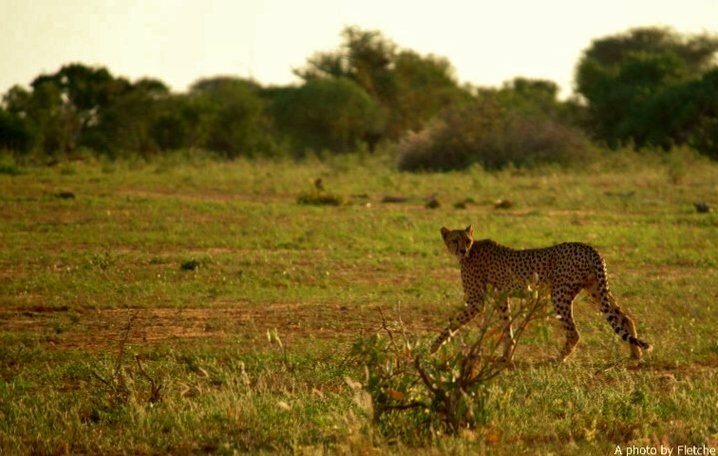 It was a close run thing but the cheetah is slinking back towards the small gathering of Nissan minibuses empty handed. It slinks past between the traffic, embarrassed that it had the chance to put on a real-life wildlife show for us… and failed miserably. It’s a breathtaking moment to end the day’s adventure on. Dinnertime, a few drinks on the terrace, then off to bed for us intrepid travellers! This morning’s alarm makes yesterday’s seem like a lie-in. Who knew there was two 5:30s in the day? Still, it’s a tasty breakfast and then back in the minibus for the first game drive of the day, and then out on our journey ‘across the road’ to Tsavo West. 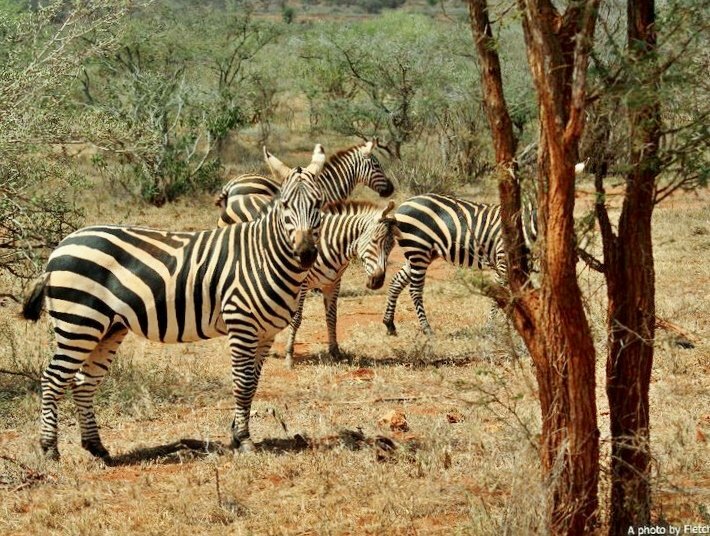 We wave goodbye to our friendly neighbourhood cheetahs, zebras, and lot’s more elephants. There’s a flock of large birds up ahead, and just a second too late we realise what they are. Vultures. 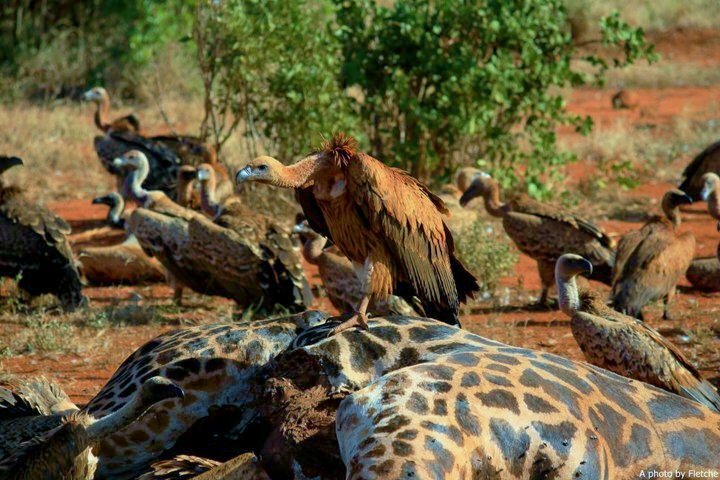 And where there are vultures, there’s…. The locals gather around our minibus as we wait to enter Tsavo West, almost climbing through the windows to show us their fantastic hand-carved animals. I have taught the soft-hearted Mr Fletche well and he repeats “No, thank you. No, thank you. No, thank you” over and over again liked a scratched record. At 4pm, after spending an hour or two gazing at this incredible real-life wildlife programme spread out before us, we head out to meet Abu, who is taking us to Mzimba Springs. This is a 1km walk accompanied by a rifle-toting ranger; we see monkeys, lots of hippos and a log in the water that may or may not be a crocodile. 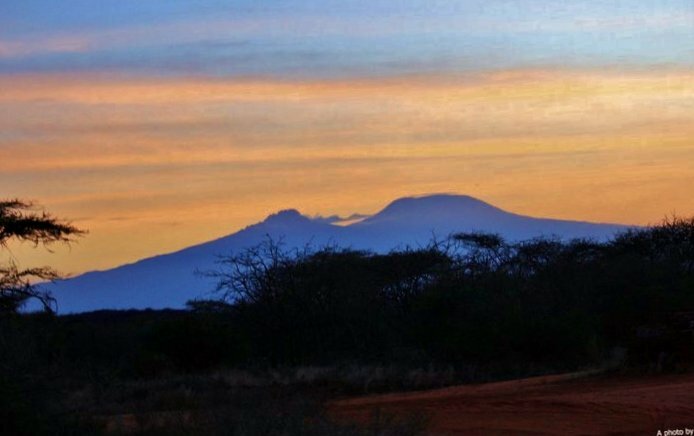 On the way back to the lodge, there are fantastic sunset views of Mount Kilimanjaro. "Kenya: Our first African Adventure"
"Kenya, June 2011: Up Close and Personal with a Masaai Warrior"
I really enjoyed this Em! Despite spending many summers in Kenya (my parents were born there so we have lots of family!) I’ve never been on safari! We’ve done many other things but not that one thing Kenya is famous for! When I finally take my kids, IT’S a MUST! Lol! I’ve seen rhinos here at Howletts! But not in the wild! When I think of what a true adventure would be like I think of Kenya. This is an amazing post! Did you ever get to see any elephants? Kidding aside, love the pictures. Step aside elephants…let some of the other animals have their moment in the spotlight!!!! Totally and completely jealous! I’ve always wanted to go on safari (I blame, “Kimba the White Lion” cartoon from my childhood – LOL), and I hope some day to have similar AMAZING photos. I have to do this trip. It’s the 2nd time it’s come up this week! Tweeted! Over from Big Up…. Wonderful pictures! I have never been to Africa and it was terrific to see it through your eyes. I have read several books and known people who have experienced the beauty and dangers of Africa. Thanks for sharing your trip. I hope to do the same some day! Amazing photos and write up! I’ve always wanted to go on an African safari!! “safari so goody” had me laughing hard. Great photos!